Here’s a list of questions most frequently asked by our customers about our outdoor shower stalls. If you have a question not covered here, don’t hesitate to contact us and we’ll answer as soon as possible! Do you ship your outdoor showers to…? What tools, etc do I need? How do you install these? Do you have instructions? Are your shower kits waterproof? What is the difference between the Naked vs Complete version? Should I mount the kit in the ground? How long do these kits take to put up? What sort of maintenance do I need for your cedar shower enclosures? What should I expect for your natural Cedar Models? How are the cedar panels made? Can I install a bench for the Standard Kit? What about the ground and drainage? What ideas do you suggest? I love your kits but I want to add a few things. Can I alter mine? What if I need help with the kit after I get it? Do you make your shower kits from anything other than cedar? How do I clean mold from my cedar shower kit? Q: Do you ship your outdoor showers to…? A: Yes, we ship to all 50 states and US/Canadian border crossing towns. See our shipping details for more information. 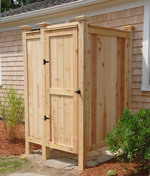 A: Shipping of our outdoor shower stalls usually takes between 4 and 10 business days. However, depending upon season, location, and other factors, it may take longer. Our shipping carrier will contact you about scheduling delivery after placing your order. See all details on shipping here. Q: What tools, etc do I need? A: A screw gun and a level are the only tools needed. All fasteners and hardware are included. We recommend getting one other person to help. Q: How do you install these? Do you have instructions? A: Yes, we have installation guides for all our shower kit models, as well as our pergola top. Q: Are your shower kits waterproof? Q: What is the difference between the Naked vs Complete version? 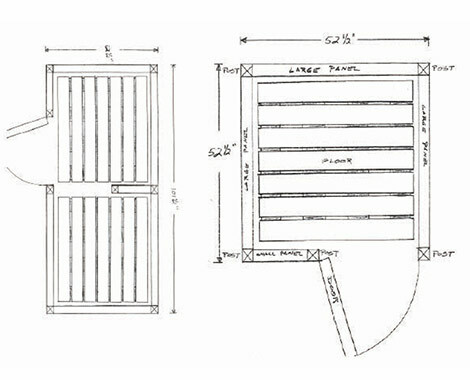 A: Our outdoor showers offer either “Complete” (fully dressed) outdoor shower kits that come with cedar posts caps and flooring, or “Naked” which does not include post caps or flooring. Most people select the “Complete” Kit. Q: Should I mount the kit in the ground? A: Our House Mount Kits are screwed to the back of the house. Our Free Standing Kits are pretty heavy when assembled and typically don’t move once in place. If the wind is strong in your spot, you can use an angle bracket to secure the posts to your deck floor, or if on the ground, use the 1st foot of our 8’ posts dug into the ground with some quick setting concrete. Q: How long do these kits take to put up? A: Outdoor Shower Kit installations typically only take between 2 to 4 hours and are designed to be easy to assemble with only a few tools. We recommend one other person to help assist. Q: What sort of maintenance do I need for your cedar shower enclosures? A: With our cedar outdoor shower stalls collection, this wood is the best selling and long lasting wood that weathers extremely well. Some people like to stain to preserve the warm colors…. while others love the slow aging to a natural grey tone when unstained. Q: How are the cedar panels made? A: The cedar panels are all tongue and groove knotty cedar v-groove both sides with smooth face on inside and the standard rough board face on exterior which accepts paints and stains better. Q: What should I expect with Cedar Outdoor Showers? 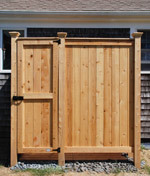 A: Our cedar outdoor showers are hand crafted using Knotty Western Cedar. When using a natural wood product, some imperfections occur. It is the embodiment of the “Cape Cod” Outdoor Shower kit – rugged and real…while displaying the beauty of an all natural product. Q: Can I install a bench for the Standard Kit? A: Yes, our outdoor shower cedar benches are designed to work with all outdoor shower styles, and can be used as a shelf as well. Q: What about the ground and drainage? What ideas do you suggest? A: We offer a cedar floor that is designed with this in mind. You can also use stone pavers. Regarding drainage, each property is different but generally if you don’t have much soil, we recommend items like marble chips or beach pebbles under the cedar floor. Q: I love your kits but I want to add a few things. Can I alter mine? A: Absolutely! Kits can be bought a la carte or customized. Please contact us with your request. 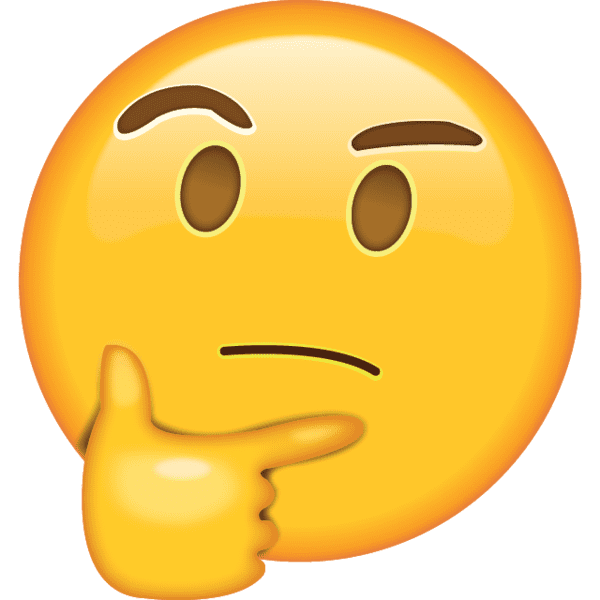 Q: What if I need help with the kit after I get it? A: If something comes up with your kit, please call us. Feel free to contact us if you have any questions about which kit to buy – your satisfaction is our #1 priority! Q: Do you make your shower kits from anything other than cedar? A: Yes! We are now manufacturing our unique style of outdoor shower kits in beautiful and durable PVC. Learn more here. Q: How do I clean mold from my cedar shower kit? A: Mold can be cleaned from your cedar shower kit using products you probably already have on hand! Using a scrub brush, mix 1/3 cup laundry detergent with one gallon of water. A deck cleaner may also be added if the mold has stained the wood. Another great option is white vinegar mixed with equal parts water. Add this mixture to a spray bottle to use as an anti-mildew spray. You may also use one cup of baking soda mixed with one gallon on warm water to scrub away those mold stains using a broom or stiff bristle brush. Rinse with your garden hose (or hand-held shower sprayer) when done.